This is my 26th year of service with the Tennessee State University Library. I hope to retire in 4-5 more years. Anita Johnson Etheridge has a birthday today. Anita Johnson Etheridge added a comment on Profile. New comment added. Anita Johnson Etheridge updated profile. View. 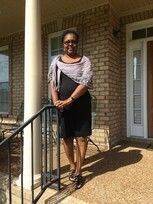 Anita Johnson Etheridge changed profile picture. Anita Johnson Etheridge added a photo to profile gallery.